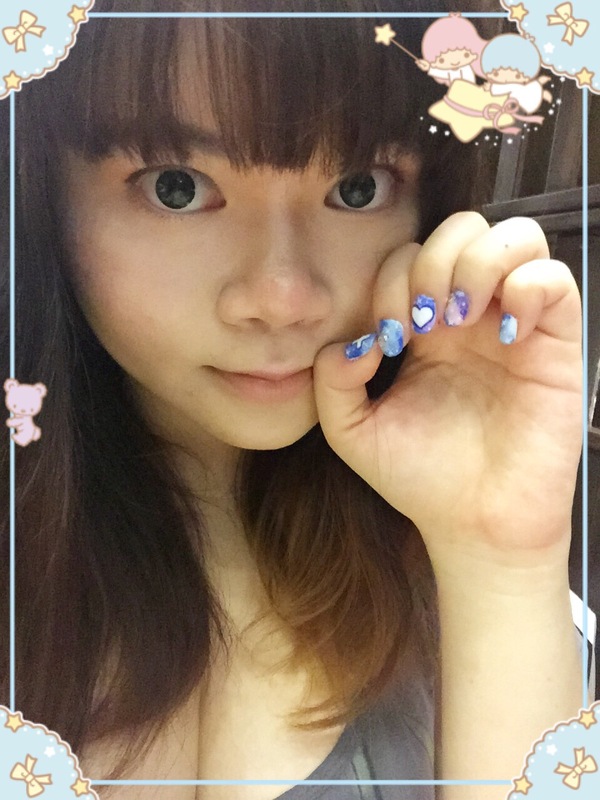 I’m heading to Osaka this coming Friday and I needed to get my nails done up so I can look pretty for the trip. Haha. And it means a trip down to One Love Nails to get my trusty Manicurist, Aini to do up my nails. Love the outcome which looks so sweet! Got my toes done up in a similar design with just a slightly different color scheme. Looking for affordable gelish manicure and pedicure with nail art done skillfully? That’s Aini whom you need to look for! Best to book appointment with her via either Carousell or FB! I believed many of us ladies often goes for manicure these days. With layers of varnish on our nails, we tend to neglect that our nails are actually looking unhealthy. Especially these days where we usually cover our nails for weeks with the longer lasting gel nails. How many times do you realized that your nails tend to get thinner and thinner, breaks easily and is very yellow? I’m guess every time we remove the varnish and gel off our nails. And each time we see ugly nails, we cover it with another layer of varnish or gel. 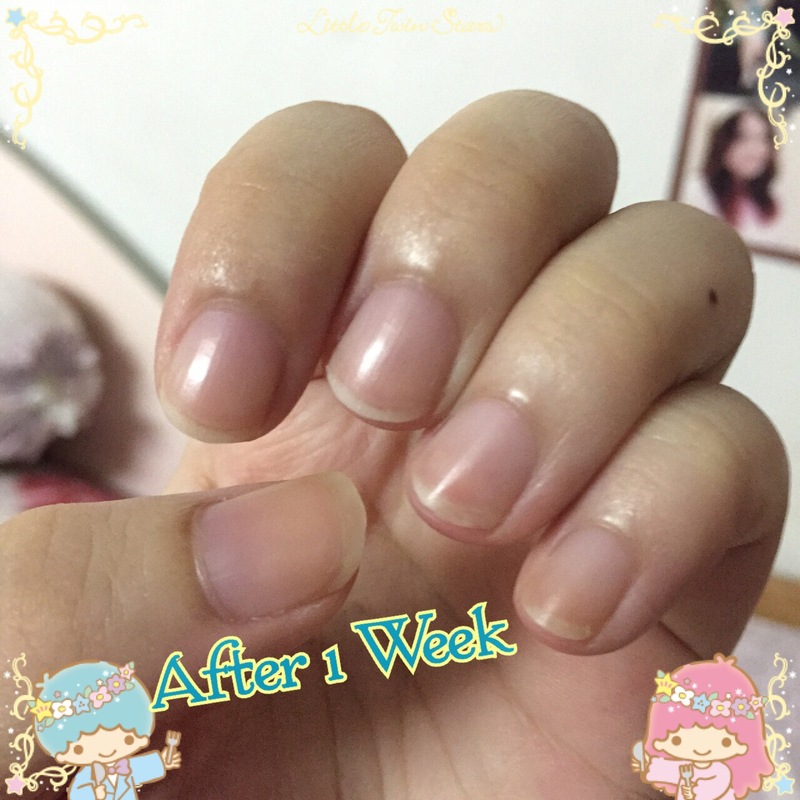 I received the Locycare Nail Gel a week ago and decided to see how will it help my brittle nails that’s slightly yellow and is so soft that it tears easily rather than break. Here’s how may nails looked like before I started using the nail gel. And this is one week after using the nail gel. I must say my nails broke on the day I took the before photo so I cut them short. Thats why it seems like my nails didn’t seem to grow. 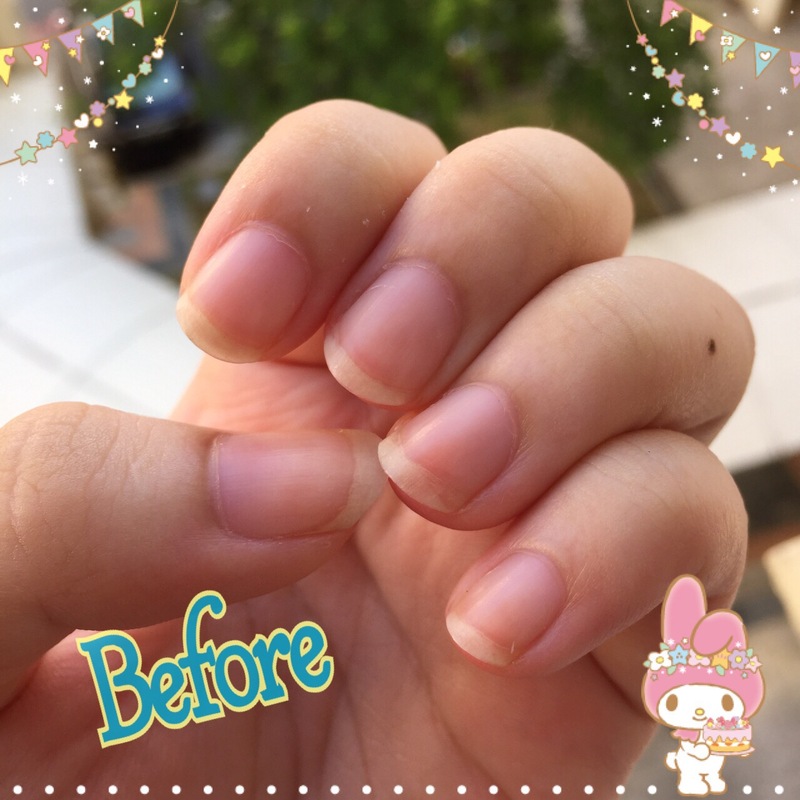 Visible results are supposed to show after two weeks of usage but even after one week, I did notice that my nails looked a little less yellow. The more obvious difference is that my nails seems to get stronger. I used to be able to bend them easily just by pressing it but now I need to use a fair amount of force for it to bend a little. My nails also feels smoother to touch. How the Locycare Nail Gel works is to restore water content of our nails. The constant gel nails and varnish can actually strip our nails off its natural moisture which make the nails dry and brittle. Just like how we need water to hydrates ourselves and be healthy, Locycare Nail Gel is like the water for our nails. We all know hydration is the key to a healthier body, healthier skin, and of course healthier nails. It’s very easy to use the nail gel, just put a tiny dot on each nail and massage it all over the nail bed. I prefer to put a bigger dot a quarter of the thumb and dab on other nails before massaging the remaining on my thumbnail. The Locycare Nail Gel is retailing at $19.90 for a 15g tube as show above at selected pharmacies. Follow me on Instagram for more recent updates! Went to get my nails done by Aini at One Love Nails again! I have never done Galaxy nails before so I randomly search for a design online and show it to Aini who managed to recreate and tweak it slightly to fit my nails. Love the outcome so much!! It has my favorite pastel shades, is sparkly and just so pretty!!! I really feel that I’m blessed to met Aini so that I can have pretty nails when I needed it. Pretty nails can definitely brighten up your day. Haha. I know I admire my nails time to time in a day. Lol. As I’ve mentioned before, Aini’s rates are supper affordable! A classic gelish with nail art is only $50!! You probably can only get a single color gelish elsewhere with that price. I’m really happy for Aini who have finally opened her very own nail salon! I first knew Aini about three years ago when I was having my nails sponsored at her old place. She’s really good and skillful at her nail art designs that I don’t really do nail art outside unless it’s her. It is with the support of her regular customers that she took the first step of having her own place! She’s like a friend to me and I’m so glad to see her fulfilling her dream. Loving her cosy little space at Orchard Plaza. It feels just like home and I love the fact that she have curtains on so that customers can have privacy while doing nails. Plus she mainly go by appointments only so you won’t get people walking by and staring into the shop while you do your nails. And you can always enjoy a movie while getting your nails done! I stayed till the movie ended even though my nails are done way before. Haha. Her place is that cosy! Gave her a color scheme and told her she can go free style. Aini knows the kind of nails I like and I love the outcome! Didn’t do extensions this time round as it’s not advisable to have long nails while doing makeup for others. Did I also mention that her rates are super affordable? 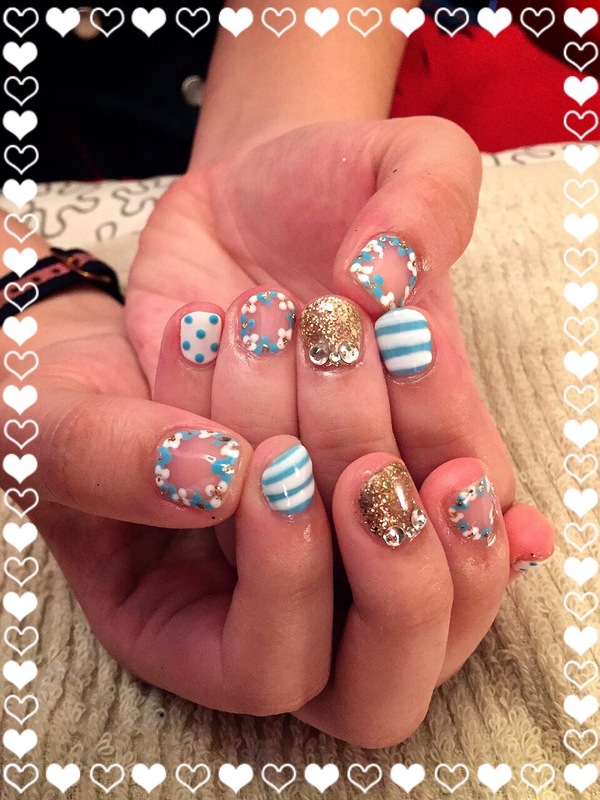 You can look through her nail art designs either on Carousell at https://carousell.com/ainionelovenails/ or on FB at https://www.facebook.com/ainionelovenails. Disclaimer: My nails are sponsored by Aini but all above are my honest opinions. Simply check out her Carousell or FB to see the good reviews given by her customers and you can also google Aini Manicurist for more reviews on her!